One of the churches I serve, East Anchorage UMC, is located right across the street from Chester Valley Elementary School. Several months ago we noticed parents waited in our parking lot for their children after school. Then we noticed lots of kids walk through our parking lot to get home as well. How could we show these parents and kids they were loved? Last week we decided to partner with the Alaska Conference staff that have offices in our building. We announced in worship that we wanted to give away free hot chocolate and cookies on Friday after school. So we baked lots of cookies and prepared our hot chocolate as the snow fell outside. We bundled up and walked out to the corner of our parking lot. 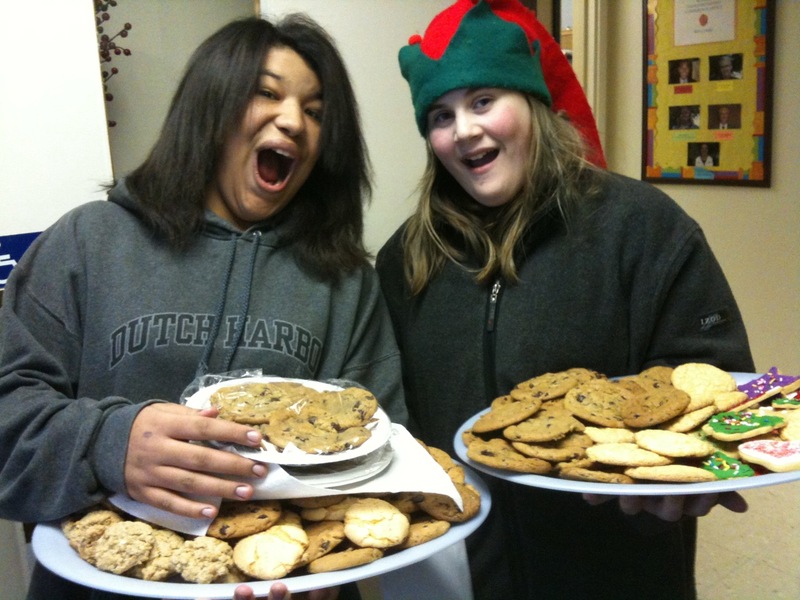 Two of our teen girls joyfully handed out cookies to excited children. Some were hesitant but eventually took one. We decided to take our leftovers to the school staff. The principal went on the intercom and invited teachers to come get treats from East Anchorage UMC. They were very appreciative. Great job church! We’ll continue this effort one Friday a month. This project reminds me there are times when we have a great idea and we should wait, pray, seek guidance and plan logistics. Then there are times we should just act on the idea. It’s tempting to plan and plan and plan and never actually get to the doing! Previous do you have margins? Sounds like fun and a great way to “BE” the church.